FARMINGTON, MO (KTVI) – The investigation into the Child Abuse case against Laura Cheatham and Daryl Head continues to unfold. Investigators Wednesday learned that in January of 2018, Laura Cheatham, a former employee of the Missouri Department of Corrections, placed an order with Prison Industries Clothing Division for four kids size prison inmate uniforms. 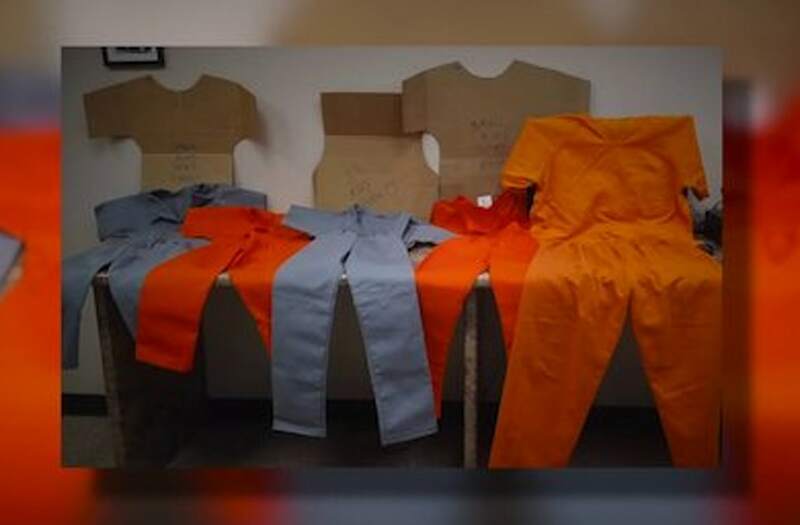 It is alleged that Cheatham told the offender in charge of the clothing division that the uniforms, “Were for her kids.” Investigators with this department took custody of the uniforms from officials at Farmington Correctional Center along with cardboard patterns that are marked “kids pants”, “kids shirt”, etc., and work order documentation. Investigators with Farmington Correctional Center are assisting with interviews concerning the placement of the order and the uniforms’ manufacturing, as well as any other potential evidence. We have also learned Daryl Head was employed by BJC as a community support specialist From July 2016 to June 2018 and worked in the Farmington School District, but was later fired. On Tuesday, officers with the St. Francois County Sheriff’s Department responded to assist Missouri Children’s Division Investigators with a Child Abuse Hotline call at a residence in the 100 block of Meadowbrook in Farmington. Based on information alleged in the hotline report, investigators believed that children within the home were being confined in rooms secured with plywood and screws. Investigators and officers were initially denied entry into the home to check the children’s well-being by the 38-year-old Daryl Head homeowner. Once investigators gained entry into the home, they discovered a 38-year-old Laura Cheatman removing screws from plywood covering the entrance to small rooms and children coming out from behind the plywood. The rooms in which the children, ages of 5-12 years old, were being held were described as “specially constructed” rooms with no windows or lighting. All four children consisting of three (3) girls and one (1) boy were placed in the care of the Missouri Children’s Division. Both adult occupants of the home were taken into custody and charged with five counts of endangering the welfare of a child and three counts of kidnapping. "We have a very good working relationship with BJC and this situation is obviously sad and unfortunate. Daryl Head did not work for our school district but in his capacity did work with school districts in our area. We did have issues with him and ask that he no longer work with Farmington schools. Student and staff safety is and will continue to be one of our district focus areas. " "We are aware of the disturbing report involving a former BJC Behavioral Health employee, Daryl Head, who was employed as a community support specialist from July 2016 to June 2018. BJC will cooperate with authorities in their investigation."